Fr. 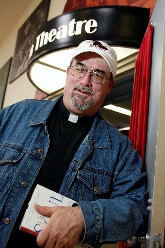 Rick Malloy, S.J., Ph.D. The programs below are ongoing. Contact your Resident Assistant about scheduling. "Whatever you ever wanted to ask a Jesuit (but didn't get a chance to ask)"
"Praying with Popcorn: Finding God in Movies"